16-årige, Starr, er eneste vidne til, at hendes ubevæbnede ven, Khalil, bliver skudt og dræbt af en hvid politimand. Indtil nu har Starr balanceret mellem det sorte lokalmiljø, hvor hun bor, og den finere privatskole i forstaden, som hun går på. Men da nedskydningen af Khalil bliver forsidestof over hele landet, er hun nødt til at beslutte, om og hvordan hun vil råbe op, særligt da nogle af hendes venner på skolen antyder, at Khalil selv var ude om det. Why we think it's Essential - Every now and then a book comes along that speaks to your soul. 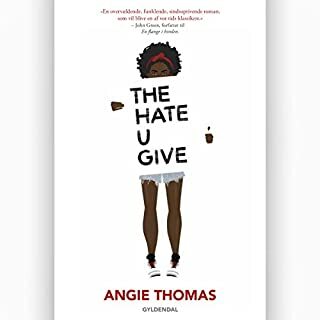 Angie Thomas' debut novel, The Hate U Give, is one such book. Each editor here has listened, and the feeling afterwards is unanimous - this is one of the best performances we've ever encountered. Thomas' message is both timely and transcendent. Inspired by the Black Lives Matter movement, this book is important, necessary, fearless, and, quite simply, stunning. 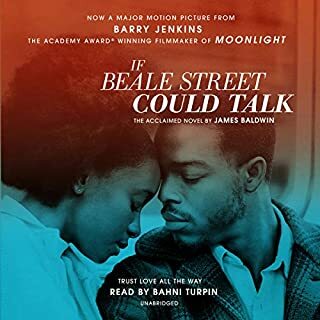 Narrator Bahni Turpin manages to give voice to such a broad and rich cast of characters, each with their own authentic perspective, demonstrating the power of performance to bring new depth to a complex social issue. We believe this is truly the definition of required listening. Tupac. THUG LIFE. 'The Hate U Give Little Infants F*&#@ Everyone.' Those are not a bunch of nonsensical words. There is great meaning behind them- a greater meaning that I ever knew. This book touched my heart and opened my mind to a world I knew nothing of. The book made me think- and I don't mean 'ponder' for a few minutes. This book made me search my soul and look at the world differently. It made me discuss the message with my children. Without going into too much detail, our heroine grows up in a world where drive by shootings, robberies, and drugs were normal. When tragedy strikes she has a choice. She can speak up or she can keep quiet and say nothing. Keeping quiet in an area where 'snitches get stitches' is probably the best idea, however breaking a long cycle of silence is a very difficult choice. I think this book should be mandatory reading in high school. I consider myself quite conservative on the political spectrum, but this is a beautiful written and well thought out book that will make you think twice about everything you know when it comes to stereotypes. 5 giant stars- so grateful I listened to this audiobook. I'm not normally into YA, but I don't know if you would categorize this book as such, and you definitely couldn't pigeonhole into that one genre. It is something of an allegorical tale about the black lives matter movement, and racist police brutality. But it's not just a diatribe about what is wrong with the world, and the way things should be. That's where Angie Thomas shines, she doesn't sacrifice her story or sense of character development to send a message. 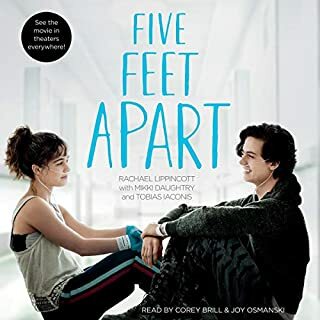 This is a real, holistic story about a young woman's coming of age in a fulcrum of racial and political strife, all while confronting the standard and not-so-standard complications of teenage life: communication issues, identity, family, and responsibility. Bahni Turpin does a miraculous job giving these characters the voice they deserve. There is a lot of style behind the dialogue that I could see might be hard to pull off, but she does it with ease and it draws you that much more into the story. This book starts out with the feel of a Young Adult novel. If it was written for that genre, it quickly transcends it. It is the story of a 16 year old girl, Star, who is a witness to a police shooting that results in the death of her friend. It is narrated by Star, a girl who straddles two worlds - her dangerous inner city neighborhood and her elite, mostly white private school. Star is so believable, as is Star's family and friend groups. The story is riveting, disturbing, sweet, and hopeful. I feel like I have been part of her special and totally believable family. The reader is great. I can't say enough good things about this book. I love coming-of-age novels, and this is a great one. I recommend it for teens and adults, male and female. I am an older white man, and I chose this book because I teach a diverse student body. I thought it might give me better perspective. This important book did do that, and so much more. In this world in all societies, there are givers and takers whether you are on Wall St. or you are in some inner city ghetto. Human nature is so heavily influenced by our surroundings that once engulfed it is so hard to get out and make significant changes. The reality of this book is that it takes tremendous courage to stand for who you are and what you believe when there is so much pressure around you to go with the flow. 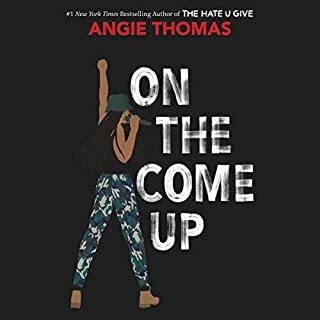 I thought Angie Thomas did a brilliant job of highlighting the day to day courage required by all of us in embracing race, society, and local community to create a peaceful world. Love needs to connect with the color of our blood regardless of the color of our skin. A MUST Read for a better society! As an English teacher, I have read many, many novels, and this is officially the top of my list as one I would have EVERY student of mine read, and every member of our society, if I could! The perspective Angie Thomas gives in this is exactly one that EVERYONE should hear, understand, and be culturally conscious of. Also, as a lover of audiobooks (and very picky), Bahni Turpin KILLED this performance; I didn't want to shut this book off. The pacing of this novel was perfect. All of the characters felt real and relatable. The best part was the depth of the theme and the way the title is an allusion, a symbol, and an allegory -- if I could give more than 5 stars I would. So read this, then go be the change. I don't normally leave the book covers so large on this blog. 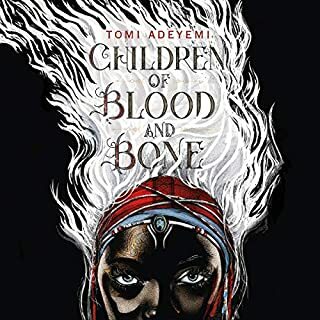 But this blook was so good, all I want anyone to do is see this cover and buy this book. 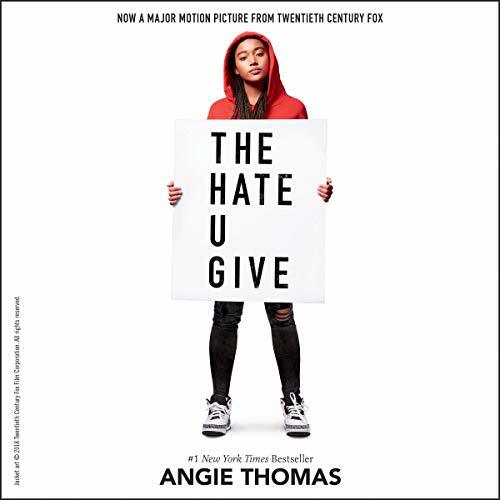 Angie Thomas has done an incredible job capturing life in this book. I can't even.... Stop what you're doing. Go to the store. Go to Amazon, go to Barnes and Noble, go to Audible.com go anywhere and buy this book. Most of my readers know it's a rare day when I'm pushing a book so much that I give you links to buy it. This is a brilliant, gut-wrenching, heart-bursting novel. Angie Thomas will be remembered for having written a classic of our times. This book is about the need to speak out against injustice in our lives, communities, the world. I feel like this book has opened my eyes, shattered my heart, and yet still warmed me inside. Fiction can be transformational, and THE HATE U GIVE is the best example of it, for me, to date. I couldn't put this down and ugly cried through at least 40 minutes of it. 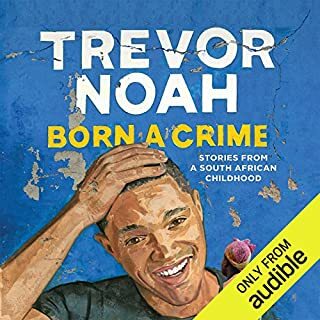 Like many books, I chose to listen to this one on Audible. The narrator Bahni Turpin had very specific praise when I was reading up on the book before buying it. So much that I had to listen to this book instead of buying a hard copy. I wouldn't have changed that for a moment. Each character was so specific to them, I could tell them apart based on her voice alone. She is a gifted story actress and I will be buying more of her work. So to summarize.... Just buy this book and let it swallow you into its dark abyss. Let it rip out your heart and sew you back together again. Let it paralyze you and make you ugly cry. Let it open your eyes and heart. Let this book into your lives where it belongs. If you could sum up The Hate U Give in three words, what would they be? The main character, Star, was my favorite character because the author ingeniously shows us the frustration and confusion she deals with as she tries to make sense of the double-sided racism in both the black and the white worlds she lives in. The narrator nailed it with the character Goon. I was surprised that toward the end of the story she had yet another version of "hood speak" that made Goon stand out as the as the bad boy from the "hood" with a big personality and a bigger heart. Every paragraph in the book seemed to have insight to the confusion and angst of teenage life that the main character, Star, faces on a daily basis. I couldn't wait to find out how she would deal with each upcoming conundrum as she maneuvers along this unusually difficult path from youth to maturity. I had to go back to my computer to see that this story was narrated by only one person. I am amazed at how Turpin made each character come to life. I always knew who was speaking because each voice was so unique to the character. This narrator has some serious talent! For the past week or so, I’ve gotten in my car each morning, turned the key, connected phone to stereo, and thought to myself, “it’s time to check in with Star, I wonder what’s happening with her today?” I love this kid, this sixteen-year-old black girl whose inner life has become a central part of my every day. The struggles she faces – the unimaginable losses, overwhelming fear of very real threats, and the universally shared stresses of high school in America – are so authentic that it feels like I’m living her life beside her as events unfold. This is a now story. A today story. A story that feels like you just might be able to effect the outcome if you will it hard enough. I’m not quite done listening, and I really don’t want to ever be done listening. But even without knowing the end, having gotten to know Star Carter, I’m left with a new kind of hope for the future. Thank you, Angie Thomas, for creating her. Actually I don't know how close to perfect this book is. The novel itself has some minor flaws (e.g. Male characters lack nuance) but keeping in mind that it's a YA first novel I wouldn't hesitate to universally recommend it. If you're a stickler about no curse or vulgar words, you might want to skip it. This would be your loss however. And although everyone is entitled to their own opinion, I would argue that this is the way people talk these days and this story would be inauthentic (is that a word?) if it was "cleaned up". At any rate, the novel itself is very good, the message it conveys is essential in these times, but the thing that sends it to the top for me is Bahni Turpin's narration. I can see why she was awarded narrator of the year (not sure what year). Her voice is pleasing and lyrical to begin with, but after you're immersed in the story, she is so good that you don't really even notice her (which I consider the highest compliment to a narrator). She gets all the characters right, no matter their age, gender, race or socioeconomic background. I admire her so much that if she is the narrator for an Audible selection, the chances I will pick it go up like a thermometer on a hot day. So I say, use a credit on "The Hate U Give", enjoy it and then think about it. ...while the young writer shows a lot of talent and her use of dialogue is of particular note, the constant teeny-bopper whinging and verbal interplay got a bit too tiresome for me, a much older white man... accurate though her rendering may well be.